The restroom renovations are continuing. Here are a couple more pictures. 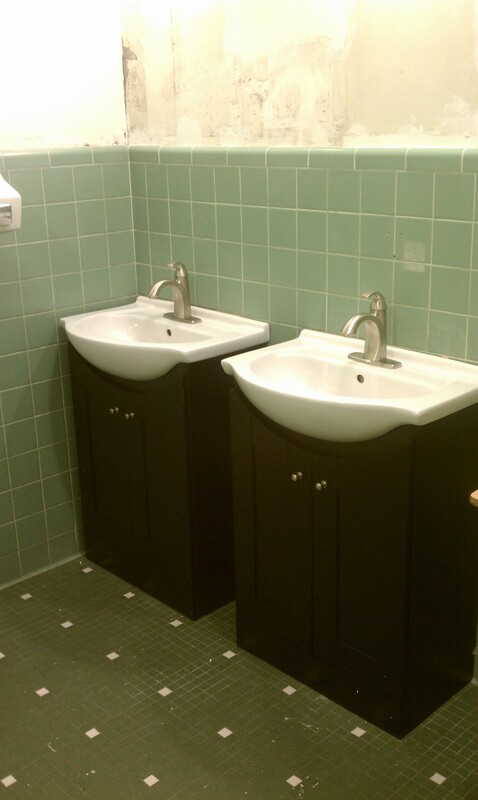 In the men’s room the new vanities have been installed. 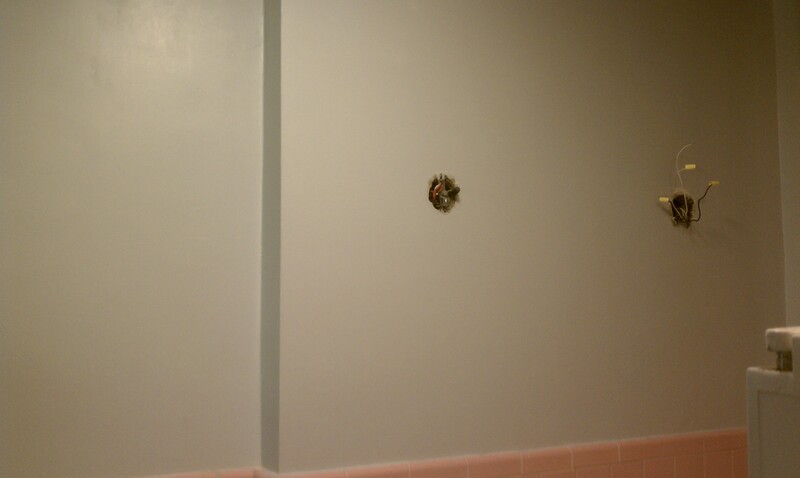 In the ladies room, we now have a fresh coat of paint on the walls. 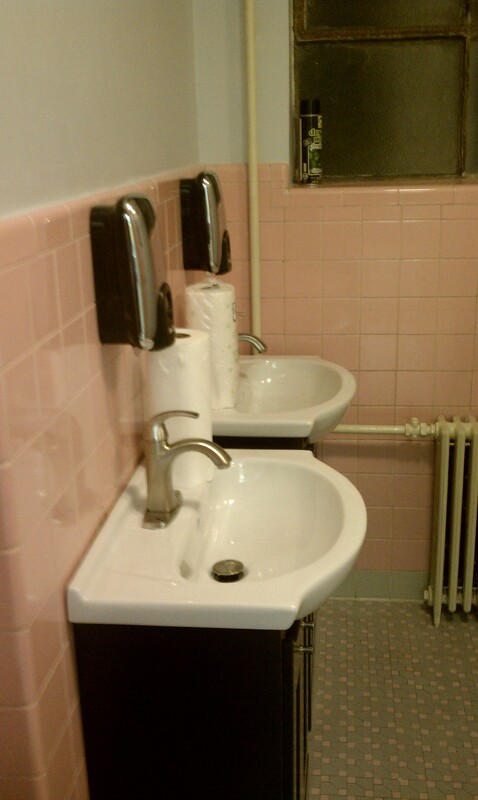 The vanities and sinks are now also installed in the women’s room. 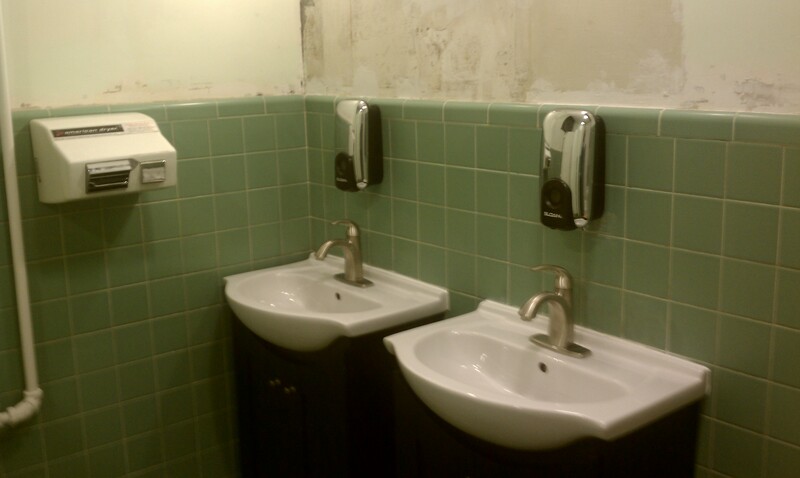 Soap dispensers have been installed in both restrooms. 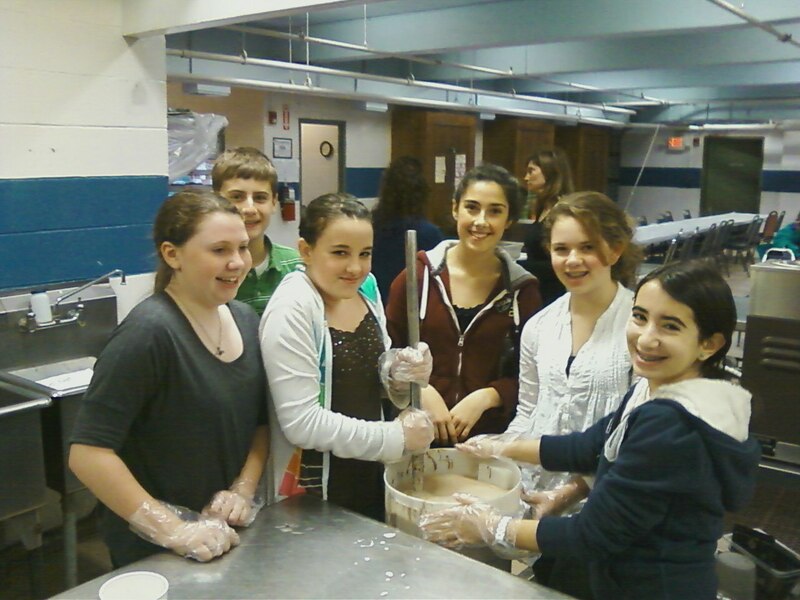 Vassar Temple’s 7th grade students prepared and served a hearty meal at the Lunch Box on Sunday afternoon. Vassar Temple’s social action committee organizes various groups from the congregation to prepare and serve lunch one Sunday a month at the Lunch Box. For more information, please contact socialaction@vassartemple.org. Our restrooms are currently undergoing renovations. Here are a couple pictures of the ongoing work. The entire cost for all the work is being donated by our wonderful sisterhood. Thank you to all the members of sisterhood for their donation. I’d like to welcome you to the Vassar Temple blog. This blog is another opportunity for members of Vassar Temple to share their thoughts on issues relating to Vassar Temple and the broader Jewish community. For many of us in the Vassar Temple community, we are new to blogs. According to wikipedia the definition is “A blog (a blend of the term web log) is a type of website or part of a website supposed to be updated with new content from time to time. Blogs are usually maintained by an individual with regular entries of commentary, descriptions of events, or other material such as graphics or video.” As you can see, our blog will allow us to share information of interest with members and non-members of the congregation. I’d like to invite you to join our community by sharing information of interest. Please contact me at president@vassartemple.org if you would like access to post to our blog. Anyone can make comments on existing posts. The blog joins Vassar Temple’s other presences in cyberspace. Our website, facebook page, twitter feed, and the new religious school web page. I’d like to extend my thanks to our religious school director, Dr. Joel Hoffman, for establishing the blog.